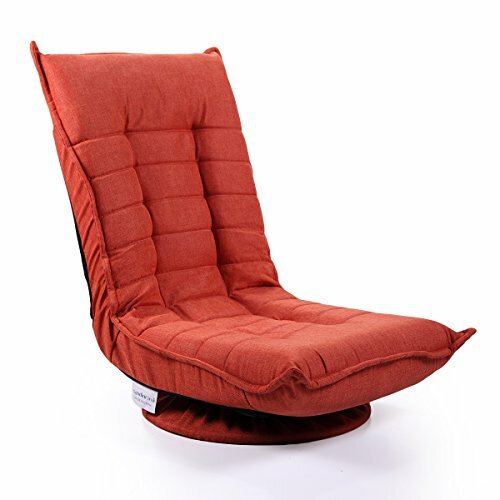 Tobbi Fabric Folded Floor Chair 360 Rotation Swivel Video Rocker Gaming Sofa Chair Adjustable Angle Chair Orange Red by Tobbi at RVTE. MPN: 6100466. Hurry! Limited time offer. Offer valid only while supplies last. Description: Versatile video gaming sofa chair is becoming a popular trend for people to enjoy themselves after their tiring work every day. If you have any questions about this product by Tobbi, contact us by completing and submitting the form below. If you are looking for a specif part number, please include it with your message.